In this episode of Flite Test Josh and Josh review the Fokker DR1 Scratch Build! 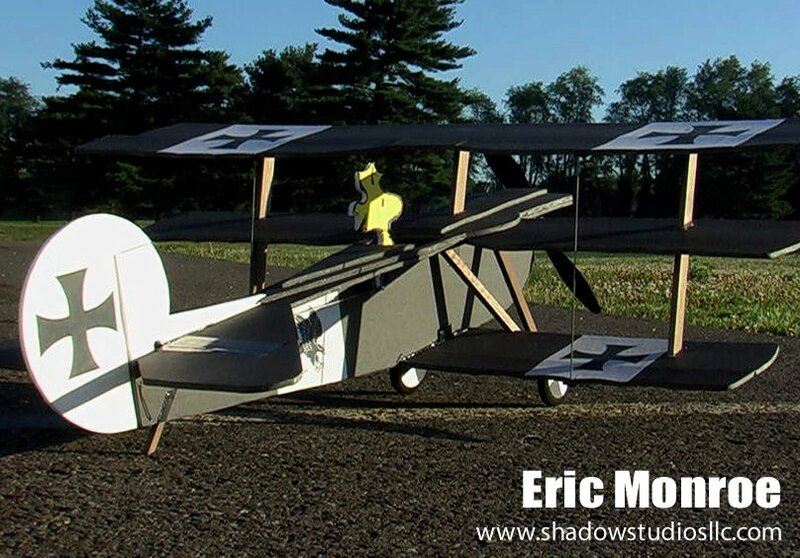 This planes is cheap to build, easy to fly and is also great for combat with friends. Watch this episode to see more! We simplified construction to make this build simple and with as few materials as possible. I'm going to build it for sure. I'm not going to use propsaver on DT750 with such a big props though (I've learned the lesson when I've tried it on my tricopter - way too much torque, it simply asks for a failure). LOLed at the kungfu scene. Where is the union man? You should really show how to cut the dangerous prop axle or fit a rubber spinner. Nice.. where is the build thread on RCG? Great Video as usual... Very much enjoyed it. Keep up the good work. Look forward to seeing the build video. Nice episode! Awesome intro, awesome combat, awesome plane! I assume as well that this is the intro for the new season! I suppose it's coming next Monday. The RC Groups thread link and parts have been updated on the original post. Yes... build video next week! Here is a pic of the one Josh made mention of, I built this about 5 years ago and he and I used to streamer combat like crazy with them.....def one of the most fun times I have had in my flying career was doing streamer combat with these planes, they really fly great! Same plane... Didn't even think of that pic! That dogfight was like the last scene in The Great Waldo Pepper! Well, what are YOU going to do to fix that?